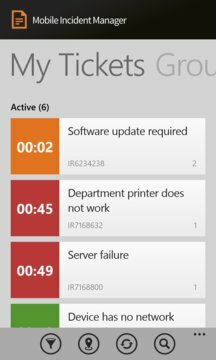 Mobile Incident Manager enables on-site supporters efficient processing of tickets, because all relevant data are available mobile. The location of the tickets is displayed on an interactive map and so optimal time and path planning is possible. The app is based on a Service Management System, like Microsoft System Center Service Manager. It is a useful addition to „My Helpdesk“, a service management app by H&D for end-users. The app also convinces with its extendet mobility for latest windows phones. Advice: The app includes a demo with sample data and a full version. 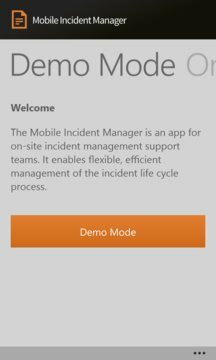 In order to use the full version on your company, you require our Mobile Service Management Interface to be installed by your IT Department.